WENATCHEE — RunWenatchee is hoping to generate more than $7,000 in money and food for the Women’s Resource Center at the Turkey on the Run event on Thanksgiving morning. Runners and walkers do the 'rollercoaster' on Woodward Drive at last year's Turkey on the Run. Last year, about $6,000 in money and food was turned over to the Women’s Resource Center. In addition to donating proceeds from entry fees, RunWenatchee asks event participants to bring non-perishable food items to the race start at Rotary Park in Wenatchee. This year, race sponsor Biosports Physical Therapy is collecting food beforehand for those who can’t make the race. That collection box is located in the lobby of Biosports, 18 N. Worthen St. The seventh-annual race — which includes 12K and 5K runs/walks and a Kids Race — begins at 9 a.m. Nov. 27 at Rotary Park. 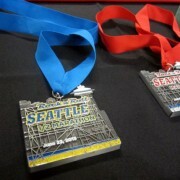 The two longer distances are chip-timed by BuDu Racing of Seattle. The first 800 paid registrants receive high-performance winter beanies. Turkey on the Run also serves as the fall finale for the Columbia Valley Girls On The Run program. This year, more than 100 local girls, ages 8 to 12, will run in their first 5K at Turkey on the Run. Each girl will be accompanied by an adult running buddy. Presented this year by Biosports Physical Therapy, Turkey on the Run has grown in the past few years to become the city’s second largest running event. Last year, a record 920 people turned out for the Thanksgiving Day race. 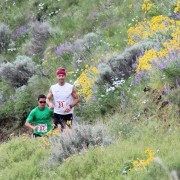 The Wenatchee Marathon and Half Marathon is the largest running event in the city, attracting 1,300 runners this past April. The Women’s Resource Center serves women, men and children from Chelan, Douglas, Okanogan, Grant and Adams counties. During the past three months, the center has provided food to more than 1,000 children ages newborn to 2, more than 4,000 children ages 3 to 18, more than 5,000 adults ages 19 to 54, and more than 2,500 adults ages 55 and older. Motorists are asked to watch for runners and walkers along Western Avenue, Springwater Avenue, Woodward Drive, Fifth Street and Number One Canyon Road. Springwater Avenue (west of Western Avenue) and Woodward Drive will be open to local traffic only. 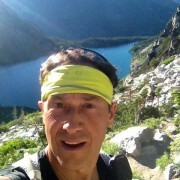 Online registration is available through noon Wednesday, Nov. 26, at https://www.runwenatchee.com/event/turkey-on-the-run-12k-and-5k/. People also can register in person from 4 to 6 p.m., Wednesday, at Pybus Public Market; and from 7:30 to 8:50 a.m. Thursday, at Rotary Park. Packet pickup also is being held at those times.